A real darting character in every sense of the word......and a real darting star! Devon Petersen has lit up the a World of Darts over the past few years and now he is targeting a return to the PDC tour to "follow my dream!" The South African stole the spotlight at the 2014 World Championship with his signature dance moves on the stage and he backed up the showmanship with some stunning darts to reach the last 16. 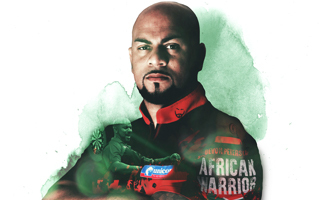 In June 2014, he led South Africa to the quarter-finals of the World Cup of Darts for a second time and is hoping to make plans to give his darts career a real go. "I love being part of the PDC family. I had to go back to South Africa in 2012 for personal reasons and then I hurt my throwing arm but playing at the Ally Pally and in Hamburg at the World Cup reignites a passion for the sport and playing on the big stages and that's what I want!" he said. "To rub shoulders with the best in the business, compete against them and beat some of them is all I have wanted. Obviously it is a big decision to leave South Africa again and move back to the UK but I am plotting and planning." 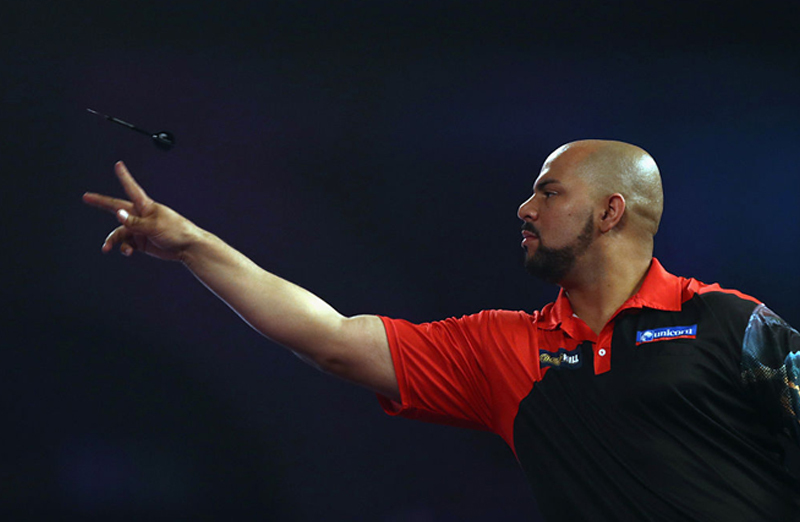 "I hope we can see the return of Devon 'The Spartan' Petersen to the PDC very soon." 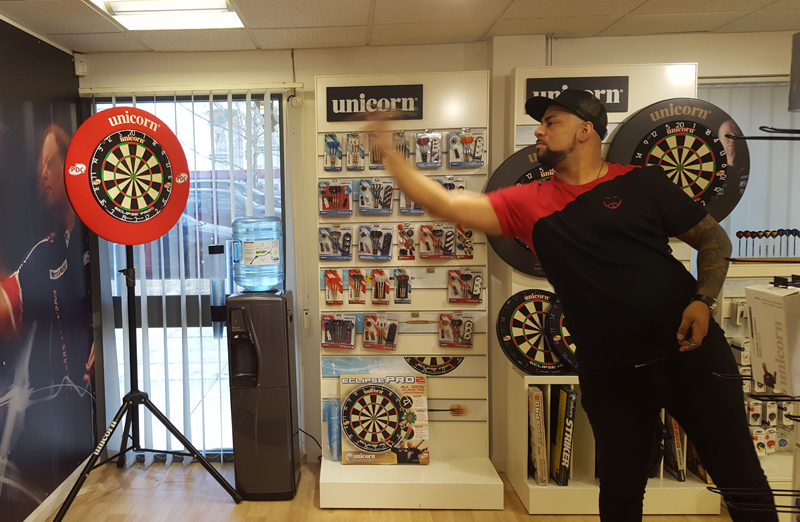 He lives in Cape Town, where he works as a financial planner, but still plays darts three or four times a week and the South African World Championship qualifiers is the next big target as he bids to return to the Alexandra Palace for a fourth time. In 2010 he made his debut and was edged out by fellow Unicorn player Jamie Caven and he was back for more two years later. He secured a terrific victory over a Steve Brown but lost out to Gary Anderson in a thriller. But in darting terms, it was the 2014 World Championship when Devon really came of age. The dance moves, the darts moves, the walk-ons, the headlines and the success. After a comfortable win over Malaysia's Mohammed Latif Sapup in the preliminary round, he followed that with a fantastic performance to overcome former World Champion Steve Beaton 3-1. Next up was World No.11 Justin Pipe but Petersen just grew in stature and confidence and the crowd loved the great South African entertainer. He destroyed Pipe 4-1 to reach the last 16 of the World Championship for the first time. There he came up against an in-form James Wade and was beaten 4-0 but dazzling Devon had made his mark! He collected his biggest darts payday of £15,000 and importantly won a huge legion of fans who loved the Devon style! 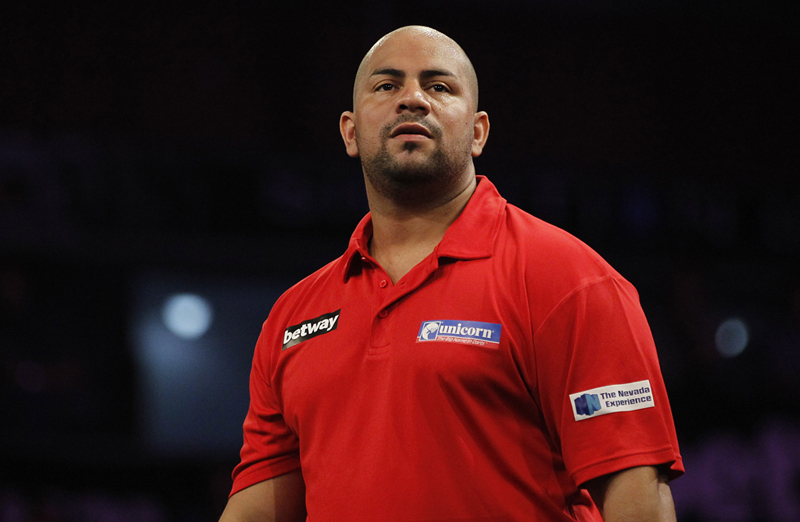 "I love my darts but everything needs to be in place for me to come onto the tour again. That remains the ambition. That remains the plan. I know I can do well and I feel I am a better player than when I first played the PDC tour. I have grown up," he said. Devon has already won a tour card before of course in 2011, and he played 18 months on the Pro Tour with some success before he had to go home at the back end of 2012. He ruptured a tendon in his throwing arm and his darts career was on permanent hold. In fact it was so bad that his entire career in the sport was in the balance. Surgery was an option but because there were many risks, he decided in favour of intensive treatment. Petersen had nine months of ultrasound and radiotherapy to solve the problem....together with rest, it worked and Devon started playing again. His first major tournament was the World Championship qualifier in South Africa. He won it beating Graham Filby 9-3 in the final. In June of 2014 the pair teamed up to represent South Africa against the World Cup of Darts. 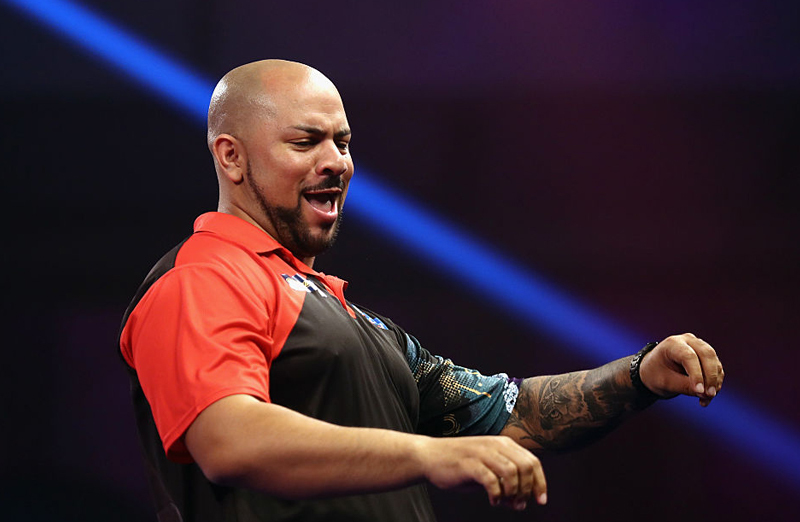 They had a great run to the quarter-finals, where they were edged out by England and Petersen was unlucky to lose his singles clash with Phil Taylor in a deciding leg. But he has got the bug and the hunger back for darts. The 31-year-old is a natural talent who doesn't have to work too hard. It would be such a waste if he couldn't harness all that ability on the PDC circuit. The partnership with Unicorn has flourished with the popular Petersen and he remains great friends with fellow Unicorn star Joe Cullen......Devon based himself in Yorkshire with Cullen when he played the tour during 2011 and 2012.